Achieve compliance as you grow your small business. As a small business owner, one of your most important responsibilities is ensuring the safety of your employees, as well as the safety of your business. Maintaining a strong safety program that engages everyone in your workplace, from top to bottom, is the best way to promote safe work practices and a positive safety culture based on federal general industry requirements. 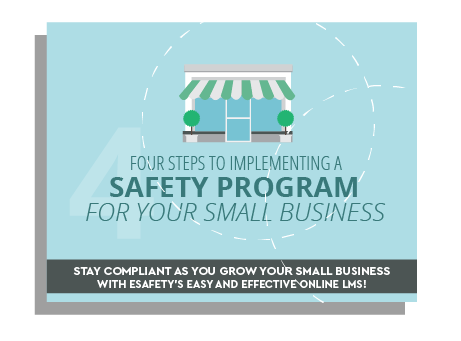 Our guide, Four Steps to Implementing a Safety Program for Your Small Business outlines how to create your safety program with small business resources on a small business budget.